The next time you’re in a Chinese mosque, look up. If you’re lucky, the entrance will be adorned with ‘Sini,’ a Chinese version of Arabic script. Sini appears in most mosques in eastern China, and to a lesser extent in Shaanxi and Gansu. You’ll see it used on the tasmiya, orinvocation of prayer, hanging above the entrance or in the prayer hall, and sometimes on the shahada, a profession of faith hanging in a niche that indicates the direction of prayer. of Muslims was sent to China around 651 AD by the Khalifa Uthman, one of the Prophet Muhammad’s companions who led the Muslim nation after his death. Today, there are around 20 million Muslims and 35,000 mosques in China. During the Yuan Dynasty (1271- 1368), the Mongols’ control over China, Persia and Central Asia made for close ties between their Muslim communities. With the rise of the Ming Dynasty (1368- 1644), though, trade and travel restrictions isolated Chinese Muslims, allowing the Sini language to develop. Arabic letters are known for their long flowing tails. Written Chinese, though, is mostly square and modular. Chinese calligraphy is also characterized by thick-versus-tapered effects – a result of the round, pointy brushes used. Sini is more or less Arabic script that deploys this same effect – evocatively described as “the slender ankles and fat feet of Sini script” in an unbylined 2006 China Heritage Quarterly article – and squished into the compact, square-ish format familiar to Chinese-language readers. Doorways in China are often decorated with a four-character phrase above the door and a vertical couplet on either side. By the same token, Sini around the doorway of a mosque is similar, but the vertical text is a pair of lines from the Koran, and the square forms the characters occupy are rotated into a string of seven or nine diamonds. The CHQ writes that this is a universal practice amongst Chinese Muslims and “may be an aesthetic choice that resonates with the arrangement commonly found on Chinese doors of the character for fu (luck) on a diamond background, or it may reflect a conscious departure from the Chinese aesthetic ven- eration of the square.” (it also notes that Chinese Muslims often place square tea-trays at a 45-degree angle to a square room or table) It’s Chinese, Jim – but not as we know it. 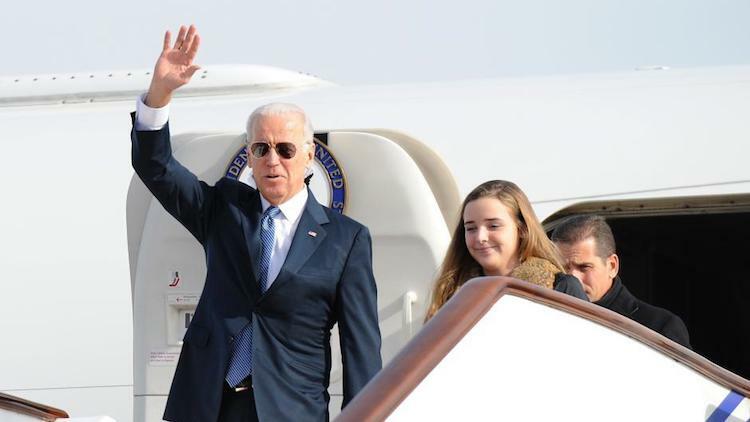 US vice president Joe Biden arrived in Beijing Wednesday for talks amid rising tension in the East China Sea after the Chinese government declared an Air Defence Identification Zone (ADIZ) over the disputed Diaoyu/Senkaku islands last month. SCMP reports that "Uygurs interviewed said they doubted that the East Turkestan Islamic Movement (ETIM) had the capacity or support to pull off even a crude attack like the fiery car crash that killed two tourists and three suspected Uygur attackers." China’s top security official identified the East Turkestan Islamic Movement (ETIM) as the organisation behind an alleged ‘terrorist attack’ in heart of Beijing on Monday that shocked the nation.